Marvel Comics. The comic-book arm of Marvel Entertainment started in 1939 as Timely Publications, and by the 1950s had generally become known as Atlas Comics. Marvel's modern incarnation dates from 1961, with the launching of Fantastic Four and other superhero titles created by Stan Lee, Jack Kirby, Steve Ditko, and others. 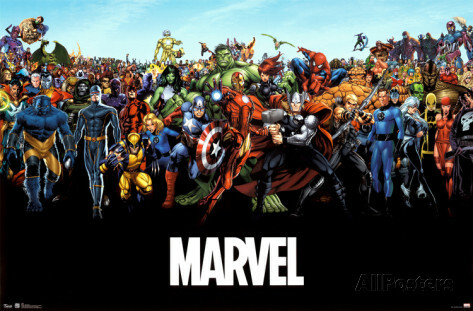 Marvel has since become the largest American comic-book publisher, surpassing its longtime competitor DC Comics. On December 31, 2009, The Walt Disney Company acquired Marvel Entertainment for $4.24 billion. Featured Marvel® Comics Super Heroes Posters: Avengers, Captain America, Conan, Daredevil, Fantastic Four, Incredible Hulk, Iron Man, Punisher, Silver Surfer, Spider-Man, Thor, X-Men.